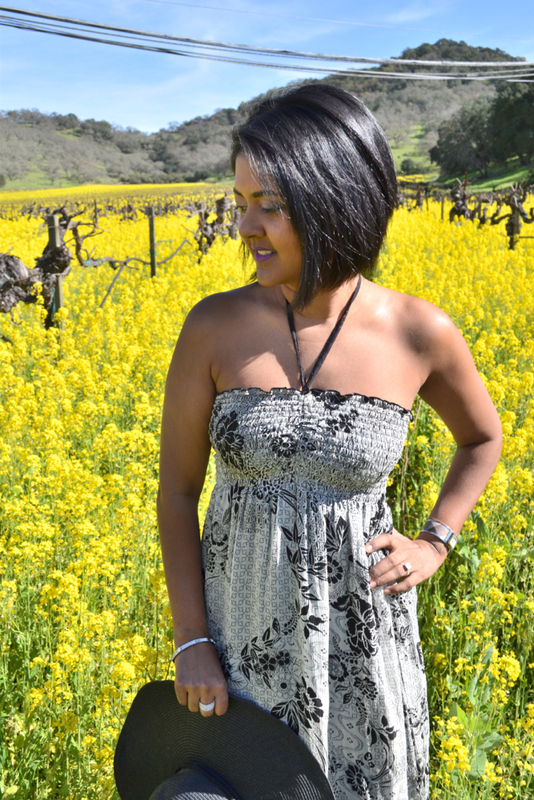 Napa Valley is now officially one of my favorite places! It is insanely beautiful and the environment is serene and calming. I had the pleasure of spending Valentine's day there and it was lovely. 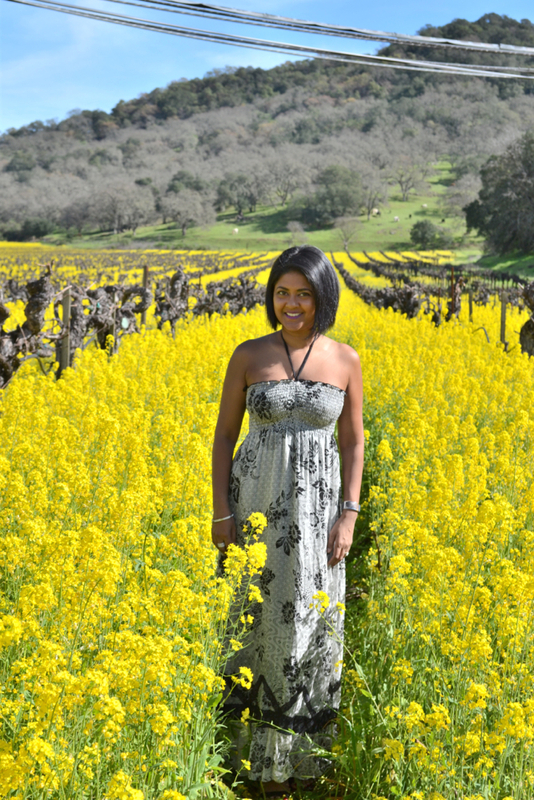 The weather was surprisingly warm for that time of year and the mustard flowers were in full bloom. I had to pull over once I saw this field of yellow. It was a scene I had never imagined and couldn't wait to immerse myself in. Places like this are so heavenly and I couldn't have had a more romantic holiday! 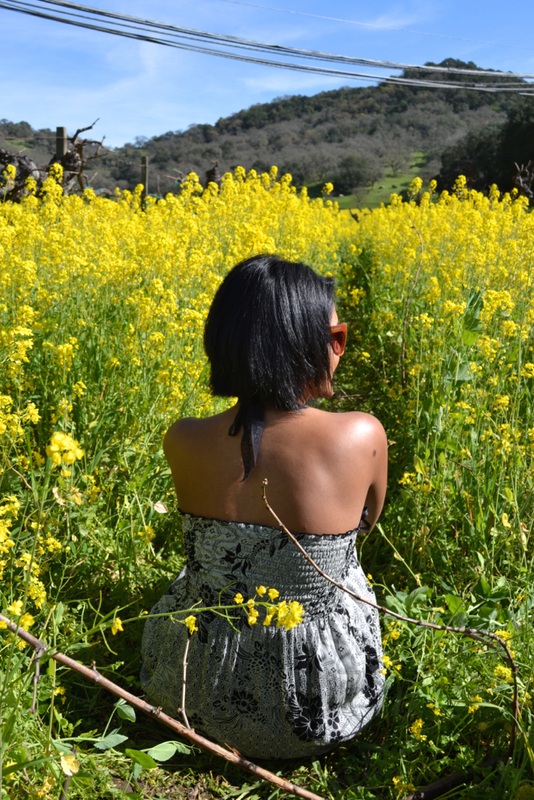 Luckily for me, the sun was shining and I was able to go bare-shoulders. 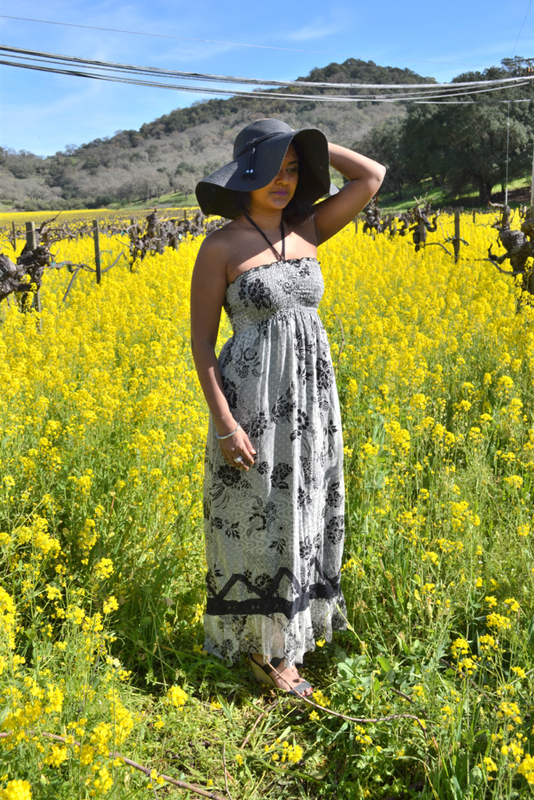 This maxi dress is an old favorite of mine. 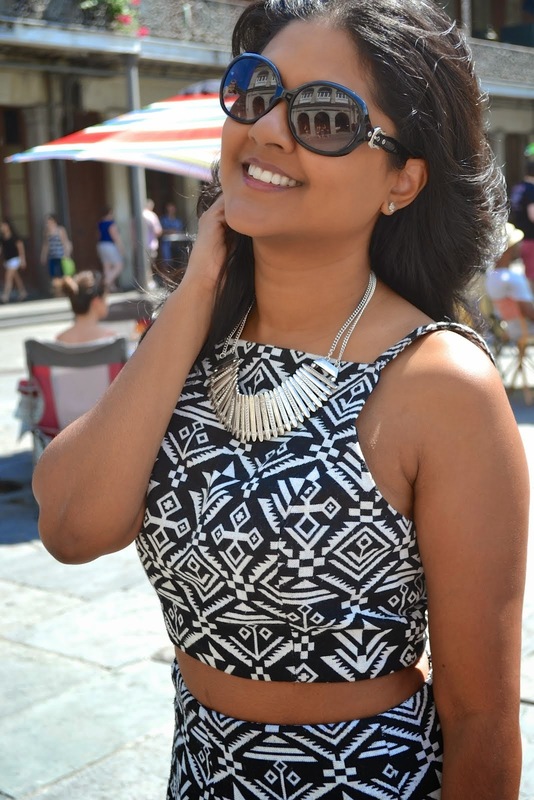 It is so versatile, it can be dressed up for a night out for worn on a sunny day. I always find myself gravitating towards light fabrics. I don't want to worry about the material sticking to me and this allows me to walk freely. I wore simple wedge sandals and a sun hat for protection. 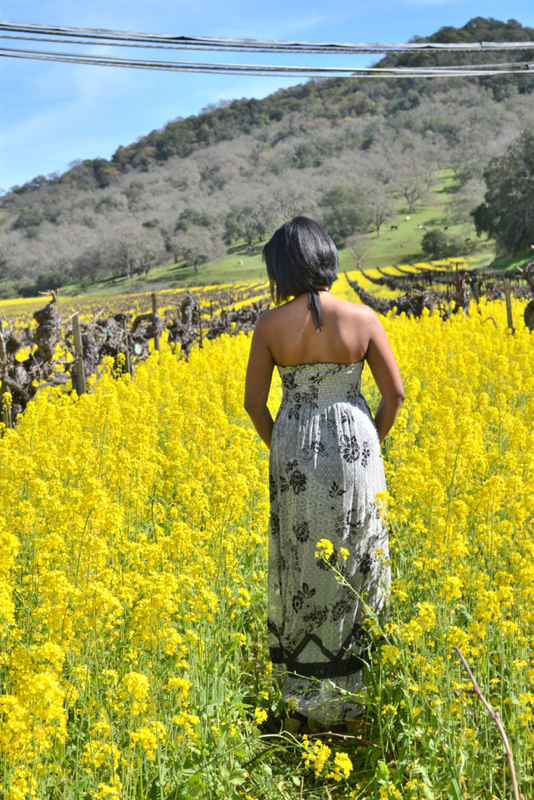 We only spent one day in Napa and I am counting down until I go there again!